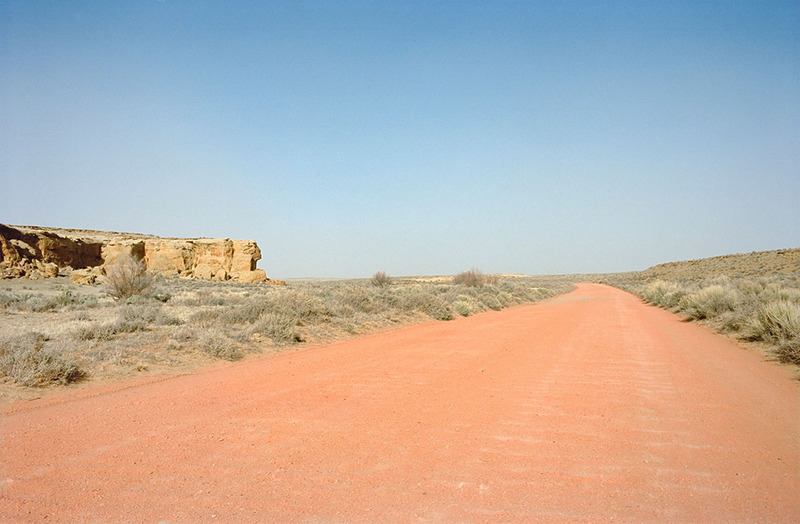 In conversation with Angelika Stepken, Nico Joana Weber presents her newest artist book "Painted Desert". The publication complements and contrasts the 3 channel video installation "Land of Enchantment" currently on view at Temporary Gallery. While the installation focuses on the Tularosa Basin in New Mexico, which encompasses geographically as well as historically disparate places, the book is structured along architectures embedded in landscaped of the American southwest. Contrasting the colourful structures of these landscapes the architecture portrays a possible coexistence of the desert and the human, emergence and decay of civilisations.